After our apple picking adventure, we had more apples than we could reasonably snack on. My favorite way to cook apples is in some kind of delicious dessert. But since my husband's sweet tooth is not nearly as large as mine, it means that I would end up eating all of said delicious dessert. Enter the quest for savory. I've always been partial to apple crisp... Since I can't get enough of these flavors, I prefer to make myself an "everyday" version of desserts. Meaning, it wouldn't be the end of the world if I had it every day. Or, it's not indulgent enough to be a "once-a-year" treat. Save those versions for holidays and birthdays, in my opinion. I was sitting with a client recently who wants to reduce the amount of meals that she either eats out or relies on convenience items. Her barriers are that doesn't have kitchen skills, and is super busy. She doesn't want to waste her time, money, or food on a recipe that might not turn out well. She feels stuck. But then, a glimmer of hope: she just purchased a slow cooker. This, my friends, is the answer to her problems. When you think of sloppy joes, you might think of something akin to canned chili. And if you do, I'm sorry, because that's not what I'm talking about. I'm talking about a tangy, slightly sweet and smokey, thick and hearty tomato-based creation that slowly stews on your stovetop for hours. It's the look and smell of homemade deliciousness. We got some cabbage in our last box from Door to Door Organics and then got asked to bring a side dish to our friend’s house for dinner. Now is about the time you might be considering never inviting me to dinner – you’re bringing cabbage?! But, my friends, it was a hit. Once overshadowed by broccoli, cauliflower is now trending the foodie world - some even call it the new kale. A common belief is that darker green or darker pigmented produce contain more nutrients, but white veggies are rich in a different set of phytochemicals that are just as beneficial to your health. There is an Amazon affiliate link in this post, for which I receive a small compensation if you purchase. All other links are purely my opinions! This recipe is a bit of a treat, not unlike the meatball sandwich from June. But it's super delicious, and well worth it. I started by caramelizing some onions, and added some chopped mushrooms to it - onions and mushrooms are such an amazing combination. I added a touch of garlic powder and a splash of balsamic vinegar at the end. Funny story, I tried to get some nice roast beef freshly cooked from the deli at Whole Foods. Apparently, whoever was in charge of the roast burnt it and they wouldn't have any more for a few days. I had a craving, so I had to persevere. Instead I picked up Applegate Roast Beef from the prepackaged aisle instead. It totally worked. I also added some Yancey's Horseradish Cheddar to the mix, and put it all on a pretzel roll. These pretzel rolls are a great new find. In Texas, they are only available at Whole Foods, but you can also get them online. I highly recommend them. I think that the pretzel bites would be fantastic for Oktoberfest! For ease of sandwich stacking, I chose to scoop out some of the filling on my bread, but the husband did not. Since my ingredients were cold, I used the toaster to heat it all up - meat and cheese on one side of the bread, and onions and mushrooms on the other. In the photo below, you'll notice that the meat is put on the bread "as is" - for round two I chopped up the beef and it was much easier to eat. We enjoyed the sandwich with a nice side of fruit salad. Yum! 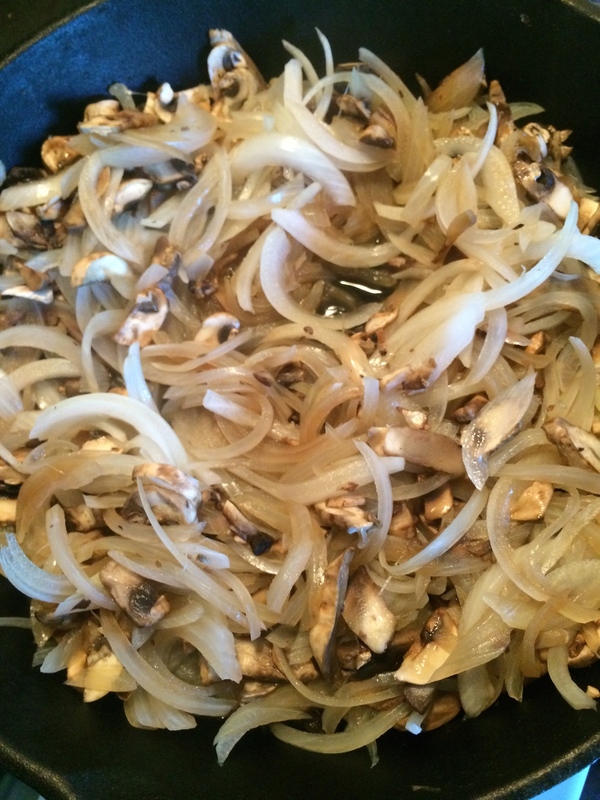 Caramelize the onions and mushrooms. When the onions are nice and brown, add a little garlic powder and a splash of balsamic vinegar. Chop up the roast beef and cheese. Scoop out some of the filling of the pretzel roll (if desired). Place the meat and cheese on half the sandwich roll, and the veggies on the other side. 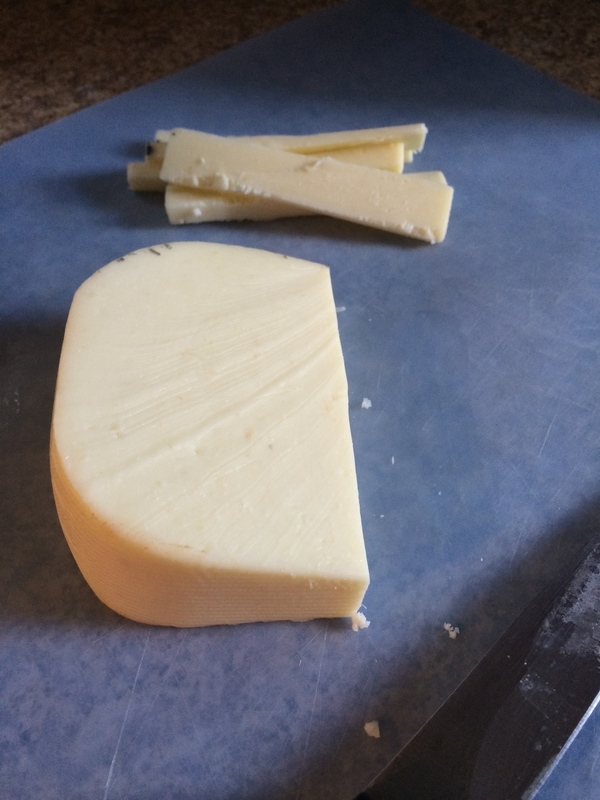 Place in the toaster until the cheese is melted. Combine the two sides of the sandwich and enjoy! Katie Goldberg, MCN, RDN, LDN, has been a registered dietitian since 2013, but has always had a passion for good food and a healthy lifestyle. Katie earned her Master’s of Clinical Nutrition from the University of Texas Southwestern Medical Center and has worked in private practice, higher education, in a clinical setting, and as an in-house dietitian for a food company. Whether it's at through large groups or one-on-one, Katie enjoys connecting people with easy and practical solutions for better health.